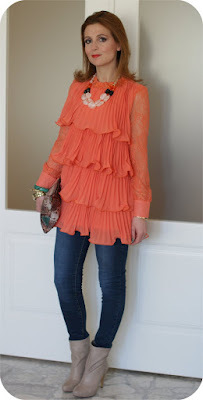 What do you think about this orange ruffled top with lace sleeves ? I think it's a very fun piece, I chose it on Romwe and I have to say it's pretty original and I like it. Moreover, I have enough dark pieces in my closet and a nice pop of color isn't bad at all !. Last but not least, I have some coupons here if you're on a budget and you want to buy some new clothes!! Cosa ne pensate di questa blusa a balze arancione con le maniche di pizzo ? Credo sia un capo molto sfizioso, l'ho scelto su Romwe e devo dire che è molto originale e mi piace. Oltretutto, ho abbastanza capi scuri nel mio armadio, è ora di dare una bella sferzata di colore !. 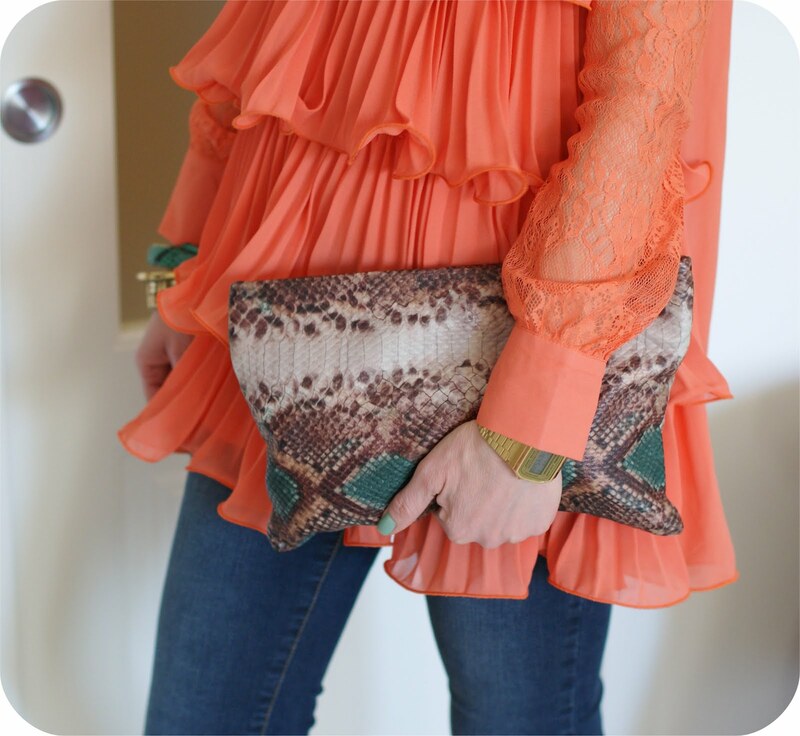 I have chosen to wear the orange ruffled top with a simple skinny pair of jeans with neutral color ankle boots cause the blouse was already very eye catching itself !. I have to say outfit pics with eye catching clothes are usually my fave cause I have more fun wearing "different" things :-) and my blog testifies my wish to "dare" a little bit. The nail polish I am wearing is one of my latest purchases from OPI shop, it's called "Mermaids tears" and I love it, I couldn't be more satisfied with my purchase !. Lately I'm becoming more and more obsessed with bijoux, they're invading my house...in these pics you can see a brand new necklace I got from H&M and bangles from Pull&Bear. 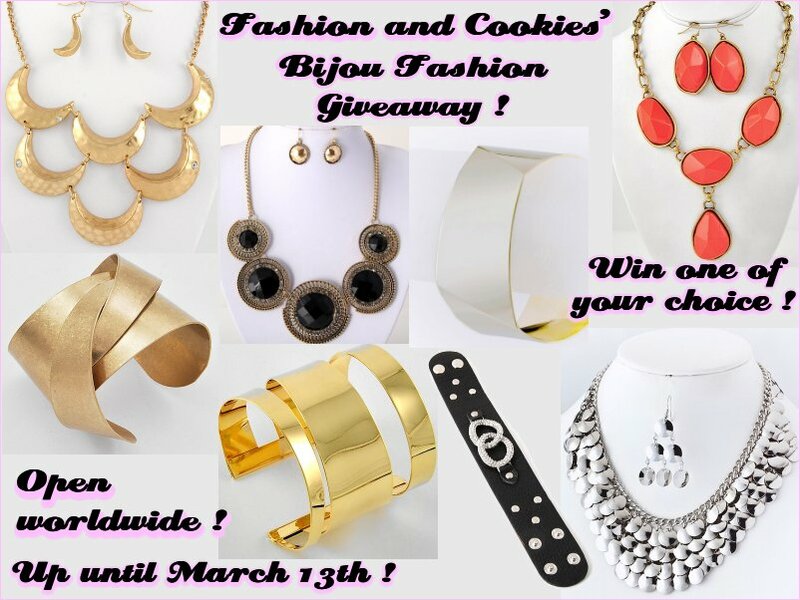 If you agree with me that a nice bijou can really add something special to any outfit...don't forget to enter my bijoux themed giveaway ! ;-). 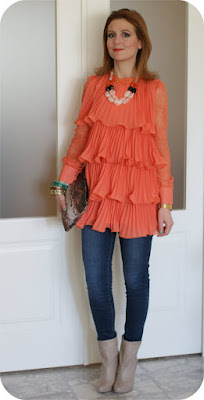 Ho scelto di indossare questo top arancione con un paio di semplici jeans skinny e con stivaletti dalle tonalità neutre in quanto la blusa era già molto vistosa ! Devo dire che le foto di outfit con capi vistosi sono, in generale, le mie preferite perché mi diverto maggiormente a indossare qualcosa di particolare :-) e il mio blog testimonia la mia voglia di "osare" con capi un po' diversi. Lo smalto che porto è uno degli ultimi acquisti fatti da OPI e si chiama "Mermaids tears", è uno stupendo verde menta, sono molto soddisfatta dell'acquisto !. Ultimamente devo ammettere la mia crescente ossessione per i bijoux, che mi stanno riempiendo casa...in queste foto indosso una collana di H&M e dei bracciali rigidi di Pull&Bear. 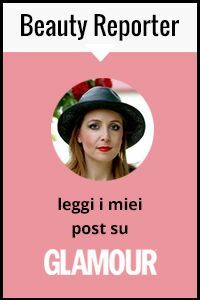 Se siete d'accordo con me sul fatto che un bel bijou possa sicuramente aggiungere un tocco speciale a qualsiasi outfit, non dimenticate di partecipare al mio giveaway che è proprio a tema ! ;-). 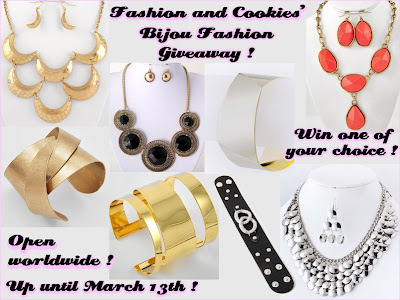 REMINDER: Bijou Fashion Giveaway ! Non perdete l'occasione di partecipare al bellissimo Bijou Fashion Giveaway e avere la possibilità di vincere un bellissimo bijou a scelta tra gli otto che vedete nell'immagine ! Il giveaway è internazionale ed è aperto fino al 13 Marzo, per partecipare riempite il form di Rafflecopter che trovate quì !. Il vincitore sarà annunciato il 14 Marzo quì sul blog :-). Carina davvero la maglia, ti sta molto bene. This blouse is so refreshing and romantic! I love that it has layered frills. The clutch is very beautiful too! so so cute, love your top and boots! Gorgeous blouse, kisses and have a great weekend. Delizioso questo abito arancione! Stai benissimo!!! This is the perfect pick me up color - gorgeous top! wow! this top got nice colour! The color of the blouse is really beautiful and the color of lipstick I love it! che meraviglia questo top! come sai, io amo le rouches!! This is absolutely gorgeous!!!! Love this color, the style and it looks amazing on you! Wow, that top is gorgeous! I just love the colour! This orange blouse looks amazing on you! i was attracted to that blouse the moment i saw the photo. it's like tangerine, marmalade, flowers, & spring. vale, your outfit is elegant & fun. i like the details in the blouse with the purse, booties, & necklace. you look dynamite! oh my, that top is soooo pretty. it would be a really nice dress if it was a bit longer. totally loving the whole outfit! Gorgeous top. Romwe is a nice store. You don't look tired at all in your photos. the top is simply gorgeous! i love the colour too. it's not too sharp, like a marcoon. Mi sa che te la copio, questa blusa è bellissima,poi ha un colore che mi fa impazzire!! Brava!! love this coral top!! !simply amazing!!! what a fun shirt and pretty colors!! your blouse is so pretty and fun! love it! This top is lovely on you. That colour is so cute ! Great post -- and obsessed with your style!! Keep up the fab work! Your top is super adorable and the color is great!! aaah such a gorgeous, and refreshing color on you!! I love the soft, pretty ruffles of the top! and those booties...been searching for a pair just like it! I really liked your blog! I'm following you here! Thank you for stopping by The Fashion Hive! you look great in this outfit!! This blouse is really nice!! !